D0es 6230i can h0ld 2gb mmc?786 pls answer,all of u guys also,asap.Pls.Do themes cant be use if it is in mmc?Why?Is it a perfect ch0ice to have 6230i? The power management is suckkkkkssssssss! Hello, I've got a problem with a 512 MB card. I don't know if that's my phone's issue or smth. wrong with the card: I can hardly format it, the phone asks to do that over and over again. Having connected the phone to PC I just can't see the card as a separate drive in Total Commander, since the phone constantly transfers smth. to pc. My 32 MB card works well. So maybe there's some virus... I've recently used bluetooth with my friend and now my phone can't handle big cards?.. what do you think? thanks. five46: I wouldn't recommend doing that with themes, cuz once I've tried to use my ringtones from the card, it lagged. It's simply not reliable. BTW, currently I've tried to transfer some 400 MB of mp3 to the phone via Total Commander: dunno what went wrong (maybe the copy block size option got somehow reset or smth. ), but the phone turned off, my TC hanged, I had to restart PC. F...ck... software... I just can't bear it. And the same with mp3 player in general: it switches the phone off periodically. I tried putting 1 GB as well. But what I noticed is that if you use more than 700 MB of space it gets extremely slow. Under 700 it's good and functions smooth. This was the first phone i had and it was the best one that i purchased. However i had lost it a year ago and just purchased the 7360. If only i had stuck with this one, such a great phone for the price. Great Display it has... I'm impressed!!! --> The specifications of the phone says 27MB useable outta the 32MB available onboard... But, when I check the memory status of the phone memory, it says Free MB is 3.8MB even when the Gallery has used jus 1.3 MB??? This is really frustrating as if somebody sends me a file thru bluetooth, my phone refuses to accept anything that's above 3.8MB. --> Can we put on the themes on the ext memory and apply it without havin to transfer it to the phone memory. Please guide me... Thanks in advance!!! I've just seen this phone work with a 3G SIM card in it!! Wonders never cease! I put-in MMC with 1Gb capacity - works fine! Who did more? Will this device work with MMC with 2Gb capacity? :)) PS: nice fone, small, strong & business! am willing to buy this phone but who can asure me if i buy this phone i will never reglet? nah nothing is wrong with it its perfect!!! mine hangs alot when in Music Player my Memory card is currupt i think thats the problem otherwise had this phone for 2 years and no problems at all only with the memory card! 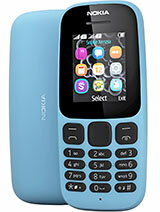 very good quality compact phone with good features. downsides - screen size and resolution is crap. had to get pc suite software seperately, 1.3mp camera quality is not good (and no flash). only 13mb memory with option of 32mb on the card it comes with. goodsides - lots of features and good design.